These are the StudyAdvisorsIntro slides from 01.02.11, Students can now contact their advisor to arrange a first meeting. 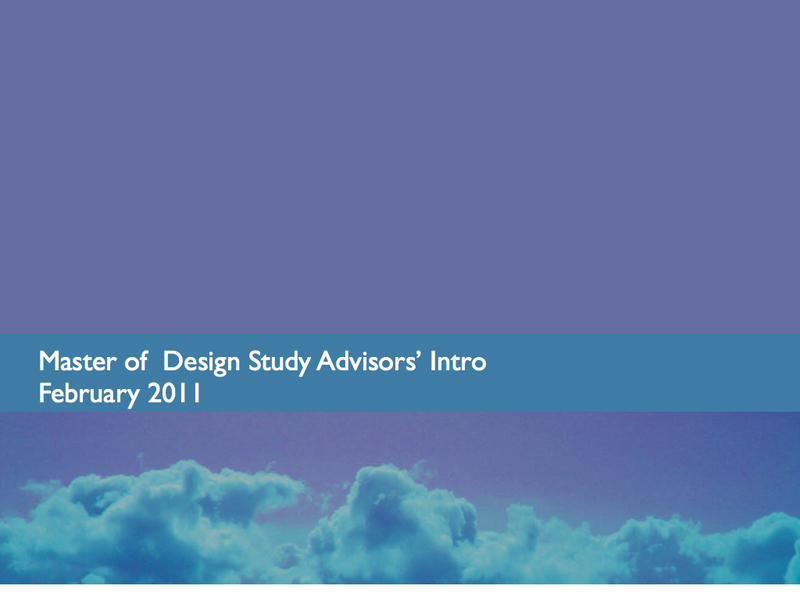 This entry was posted in advisors, essential, lecture, master of design programme. Bookmark the permalink.